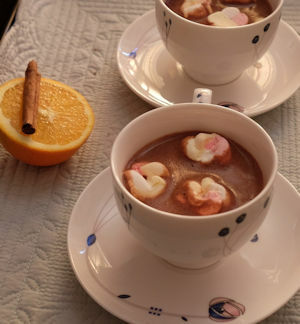 For our February blog, Sara Wood of 5 Star Gold Glebe House B&B in Perthshire writes about finding new flavours for hot chocolate. 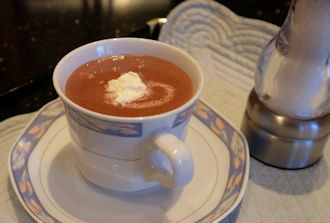 Vegan Hot Chocolate I made it with 84% Belgian chocolate and added our Dunning honey to sweeten it. I used almond milk, reduced a little, but I'm sure oat milk would be just as good. It turned out thick and decadent. 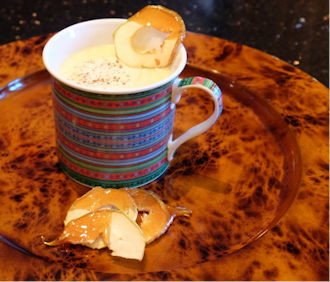 Toffee Apple Hot Chocolate used dried slices of apple that were brilliant in my home made granola. For this drink they were dipped in caramel and the rest of the caramel was used to flavour the milk and white chocolate. This is very sweet but really delicious. 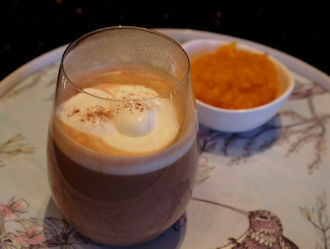 Pumpkin Chocolate Latte might seem unusual but actually it tasted rather like my pumpkin pie as it used the same spices. I used milk chocolate so it wasn't so deeply chocolatey but rather spicy. I loved this as I do pumpkin pie! 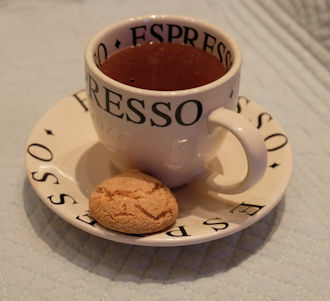 Cinnamon and Orange Hot Chocolate is rather like the traditional chocolate orange and used home-made orange syrup to begin with. I put some marshmallows on the top of this one. Maple, Pecan and Whisky Hot Chocolate was another favourite of course. The pecan nuts were used to give texture on the glass rim with caramel and chocolate. 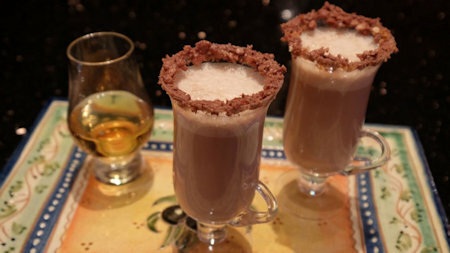 Maple syrup and whisky was added to the dark hot chocolate. Sea Salt Hot Chocolate was my favourite and is a basic strong dark melted chocolate in milk sweetened this time with sugar and then also salt. I was surprised how much salt it took to give it that salty kick. They were all delicious and you really can adjust the quantities of flavourings and type of block chocolate to give the depth that you prefer. We have a mini milk frother too which gives a good foamy finish to the top of the drink. I'm looking forward to making the next one!